These are not bad people. However, they fail to realize I am only one person and they are many. Although I try, I can’t meet all their demands. What I have learned is that these people are not happy and you just have to let God handle it. This one hurt. I have always been a people-pleaser, and I constantly compare myself to others. For years (and at time even today), I experience little to no self-esteem. When I can’t make everyone happy, I feel guilty and I second guess everything I do. This leads to comparing myself to others who have more talent and ability. Gee, who needs an “Egyptian” when I can beat my own self up? The close of verse 14 is what we need to remember each day. It says, “The Lord will fight for you; you need only to be still.” When our Egyptians (whoever or whatever they may be) attack, we need to be still and to allow our Mighty Warrior-God- to stand before us. For He has promised to deliver us from our enemies. As you know, I am a chocoholic. I do not play favorites. Any type of chocolate is acceptable with me. God also does not play favorites either. He desires that ALL people receive his saving grace. In recent weeks, news outlets have bombarded us with images of war between nations and racial tensions. There just seems to be no peace or loving-kindness anywhere anymore. Look around your community, and I would guess not all people look, act or ever speak the same language as you do. The community our around the church where my husband pastors has certainly changed over the years. What was once an upper middle-class area is now a melting pot of different socioeconomic backgrounds, racial backgrounds and religious views. Not all the people around our church look like us. Some even have pink hair and tattoos! (Just for the record, I have nothing against hair color or tattoos. As a matter of fact, I have been sharing with a lady who does and I love her). I dare to say that any given long-established church has an ever-evolving community around it. Guess what? THEY ALL NEED JESUS! So, what should we do? We should be willing to step out of our comfort zones and into the mission fields just outside the doors of our churches. Go knock on a few doors. Invite someone with pink (or green, purple, rainbow) hair and tattoos to your church. Have a fun block party event. There are tons of ways to become missional in your own backyard. More importantly, we should not play favorites meaning desiring one type of person over another. Jesus ministered and call all types of people to faith. Yes, you should treat a tax collector, a beggar or a prostitute the same. Jesus did and those individuals became strong witnesses for Christ. John 3:16 clearly reminds us that God sent Jesus into the world that whoever (red, yellow, black, white, rich or poor) believes on him would gain eternal life. God does not show favoritism because we are all precious in his sight. So much devastation. So much loss. Our nation has experienced the destructive effects of, not one but two, powerful storms that made landfall in Texas and Florida. Other states in the Southeast also were plummeted with damaging winds and torrential rains. Our nation has also experienced, even in the midst of such tragedy, people from many different cultures, races, social economic backgrounds, and religious affiliations come together with a common goal of helping those in need, whether it be aiding in heroic rescue efforts or providing essential supplies such as food, water, and toiletries. As I contemplated the horrible losses: the homes and businesses that were destroyed, the lives displaced, and worst of all the loved ones that were lost, I was convicted about all of the “petty” things that I sometimes complain about, especially in light of this type of suffering. For myriads of people, life changed in an instant. Homes and businesses can be rebuilt, but loved ones cannot be replaced. The next time I am tempted to complain about not getting a good night's rest, I will reflect on the fact that I have a bed in my home to sleep in tonight. Many are sleeping in shelters. If I am tempted to complain about the selection of food in my house or about having to cook, I will reflect on the fact that I still have a kitchen in which to prepare food and a refrigerator to store it. Many don’t know where their next meal is coming from. If I am tempted to complain about “not having anything to wear” (ladies we are good at this one! ), I will reflect on the fact that I have a closet full of clothes. Many had to leave their homes with just the clothes on their backs. If I am tempted to complain about the old car that I drive, I will reflect on the fact that I do have reliable transportation to take me where I need to go. Many had their vehicles swept away in the floods. 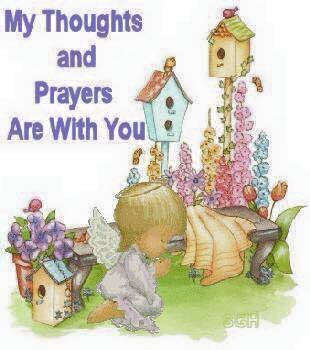 And as we think on those that have lost much, please let us pray for them, that our Lord will comfort, heal, and restore. Also, we know that our Father in Heaven can bring salvation from these tragedies, as many place their faith and trust in the Lord Jesus Christ! So, when we are tempted to complain, let us remember our innumerable blessings. God is obviously trying to get the attention of the people of America. Hurricane Harvey.......Floods..........Fires........Tornadoes........Hurricane Irma.....Hurricane Hose..............Hurricane Katia. Please join me in praying for our dear Lana Rose in the loss of her dear friend, Sharon Ramsey. We love you Lana....and when you hurt, we hurt. 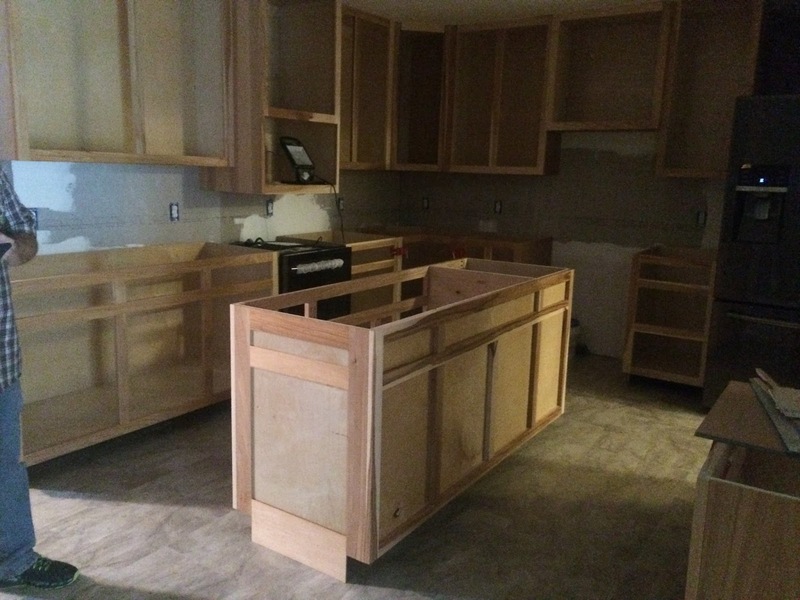 I have not had a kitchen since the first of August. Eating out every meal is expensive and FATTENING. The bank account has gotten smaller and the hips have gotten larger. Now....the BIG Dilemma currently is..............I had my big family reunion in Alabama this past weekend. Usually it involves lots of cooking. That did not happen. SOOOOOO....it the end....it was ALL good. BUT....the dilemma I now have is our church Homecoming is this coming Sunday and we have a visiting preacher coming to speak. Anyone that knows me....knows that at any church meal, I cook enough for an army and usually have nothing left. I mean.....my typical church meal would probably consist of two pot roasts with carrots, Frito Corn Salad, pintos, Mexican cornbread, a giant banana pudding and more. Homecoming is this weekend. 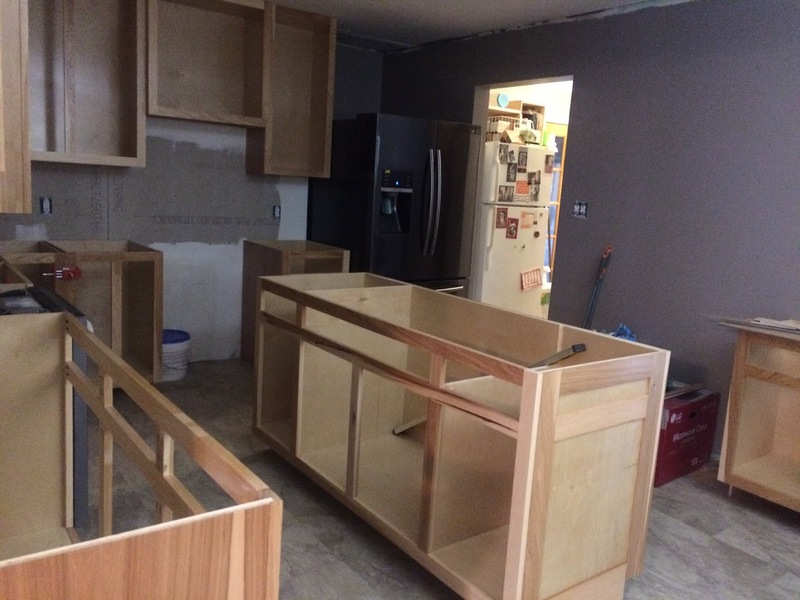 I STILL have NO WORKING kitchen. HELP. BIG DILEMMA! After fretting over it and loosing sleep and lots of prayers.....I swallowed some pride and send out an email to the church members requesting and begging them to HELP me out and fix extra food. See,,,,the church people keep asking us what they can do to HELP with our kitchen situation. FINALLY.....I told them how they could help. Smile. Isn't this how we as pastors wives tend to do in many areas? We undertake and do LOTS because we think it is expected and we HAVE to. When, in reality, our church members are probably just waiting for us to ask for HELP. 3 red delicious apples cut up with peelings on.. Mix together and just before serving, add a bag of Chili Cheese Frito Corn Chips. 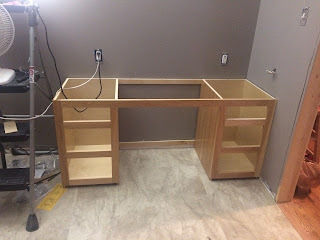 FINALLY....beginning to see a little progress...........but still have a LONG WAYS TO GO. Life is ALWAYS full of detours..................guess in the game of life, this is a tiny detour. AND....I have to remind myself....that at least I have a home.....I have a kitchen (although it is in disarray right now).....I have a husband who is enjoying building this for me................I AM TRULY BLESSED! I know that everyone is devastated about the horrible state that Texas and neighboring states are in due to Hurricane Harvey. I have head many people say that they feel lead to "do something" but don't know what and they are afraid to just give to anyone or any organization. Our daughter and son-in-law have a dear friend who is the pastor of Clear Lake Baptist Church in Houston, TX. Their church has been spared, but surrounding areas have not been as lucky. The church has set up a ministry to "HELP". 100% of ALL donations go directly to help these people. It is my understanding that the church has set up a complete ministry to help. They are giving out clothing, food, etc. The pastor's name is John Aaron Matthews and his wife is Emily. They are former BCM Directors of TTU in Cookeville. John Aaron took over as BCM Director of TTU when Dr. Joe Wiles retired from the BCM and became the Director of Missions at Stone Association in Cookeville. Here is what John Aaron posted on Facebook of ways YOU CAN HELP. "Facebook Friends Far Away Here's how you can help us help Houston. Mobilize your friends, small groups, and churches to collect gift cards to Home Depot, Lowes, Walmart, Target, Gas Cards & Restaurants. Mail them to Clear Lake Baptist Church (15700 Space Center Blvd., Houston, TX 77062) and we'll give them to families in need to help them recover. Please share this post with your friends. You can also send handwritten notes & prayers with these cards. Thank you for your prayers and support." We can and should PRAY for EVERYONE............but we can also put actions to our prayers by GIVING. Clear Lake Baptist Church is one of our Southern Baptist Churches. Please feel free to share this info with your family and friends. My Momma always said....to find the GOOD in anything that is BAD. So.....that is what I am trying to do. Last time, I blogged about my husband getting notice from his secular job that they are doing away with his position and out-sourcing to a company in India. His last day is November 10th. If they had waiting until March 2018.....he could have taken an early retirement. BUT....the last couple of years, his job has been VERY stressful mentally and physically. They are required to work LONG hours without overtime pay, etc. He's a pastor so he already is working full time. The secular job has been a thorn. Because they are "letting him go" at work, he does not feel the stress he had before. I mean..............they can't fire him....they already have. 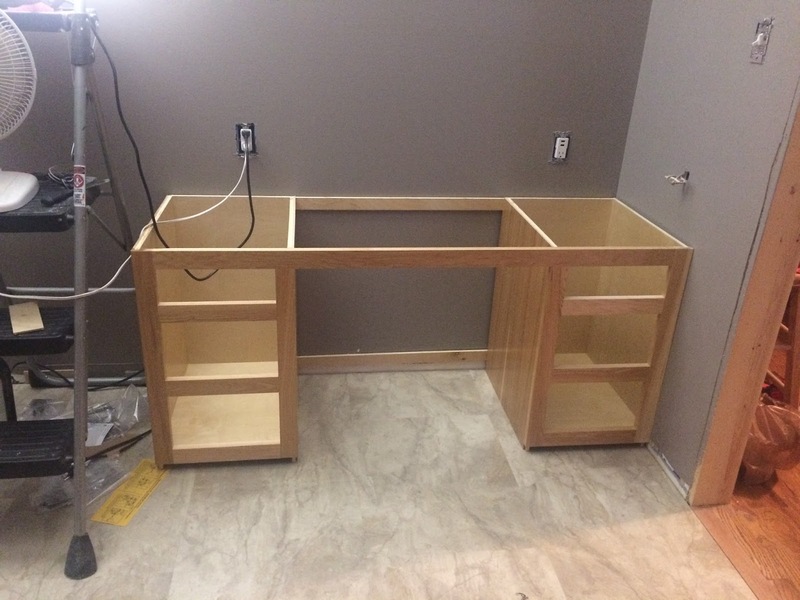 Because he has not been under so much stress, he has been able to do LOTS OF WORK himself on our kitchen. Keeping busy has helped him from getting depressed and thinking about things. We had money set aside for cabinets.............because he had the TIME.....he and the neighbor have built beautiful solid hickory custom cabinets for the same cost that we could have purchased cheap, premade cabinets. Remodeling the kitchen has given Roger an outlet to let go of some of his frustration. BUT.....the whole process has been good for Roger. It has kept his mind occupied. NOW.....I challenge each of you to STOP and ALWAYS find the GOOD in the BAD. Yes....I complain because sometimes folks in church DO NOT WANT TO CHANGE. They want things the way it has always been. YET......I am probably the world's worse about hating change. Because it is me, I don't even realize it. I don't mind change at church, etc......but when it personally touches me....I DO NOT LIKE IT. Thirty-two years ago....almost exactly, I went to a party and was introduced to BeautiControl Skincare/Makeup Company. I fell in love with it. That was way back in the day when "Color Me Beautiful" was so popular and so expensive. Beauti-Control offered a similar service for FREE. I discovered that I am COOL.....a cool WINTER to be exact. That explained why certain colors looked best on me and also explained why the darker, bolder colors looked better than the pastels. And the "color" for your face was easy to apply, easy to blend and for the first time in my life...............I really liked the way my makeup looked. Long story short......from that night forward, I began using Beauti-Control. I must confess that I could not afford ALL of IT.................so I started out with the "color" and slowly added bit by bit. It was later when I added the skin care. Eight after being introduced to BeautiControl, we moved to another town. My director took the opportunity to talk me into becoming a consultant. It was a way to meet new people in my new location. Soon the business was growing quicker than I really wanted it to............but just as suddenly....my husband's secular job moved him two hours away and by this time, both my children were in school and I did not have time for the parties, etc....so I never had another party. However, to get the discount and to stay active, you must place a minimum order every quarter. Over the years, several ladies who were looking for a consultant found me and each time I placed an order, I ordered for them too. It worked for all of us. When my daughter got old enough, I started her on the skincare and she fell in love and begin using it. When I gained a daughter-in-law, she also began using the products. Are you seeing the PICTURE? I was VERY comfortable with my products and had NO desire to ever change. But...my Momma always taught me to try to find the good even in bad things. Because they are closing their doors, during the past two months, they have drastically reduced the prices of the products. There is a 3-5 year shelf life of the products, so I was able to purchase my foundation, blush, eye shadow and skin care, etc. at fraction of the original price. Because of the great sale.....I was able to stock pile some of my favorite items.....to postpone the agony of having to find new products. AND.....I was able to purchase LOTS of CHRISTMAS presents and 80-90% off. The girls have lots of NICE stocking stuffers this year. Everyone I know will be receiving BeautiControl for Christmas. Smile. Well....at least a LOT of them will. Before all of you "consultants" for all of the million of companies out there try to reach out and win me over to your team or products..............I am not interested. I have enough products that I LOVE to last me for a while. I LOVE BARGAINS....................so...............it was still a WIN!!! It is officially FOOTBALL TIME.......fall is in the air.! Twenty three years ago we moved to Tennessee. Our daughter was in the 4th grade at the time. She quickly told us that we may have moved her to Tennessee, but she would NEVER marry a Vols Fan. She kept her word. 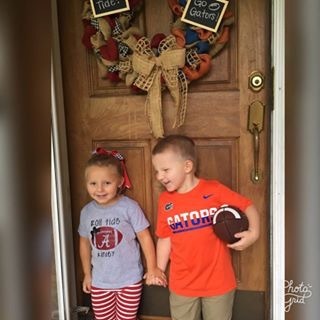 In college she met her husband who is from Sparta, TN and is a huge GATOR fan. Yes....they are truly a HOUSE DIVIDED. AND....now our grandkids have chosen sides. Kinley has declared that she is a Roll Tide all the way. Cameron says that boys go for "Go Gators". Notice the wreath on the door. Smile. On top of that....their babysitter has played "Rocky Top" to them since they were infants. Smile. We grew up on the Tennessee/Alabama state line and always cheered for Tennessee too.....unless they played Alabama. The only team we DID NOT LIKE was Auburn. BUT....when we moved to Tennessee, we quickly learned that we were not suppose to ever go for Tennessee. 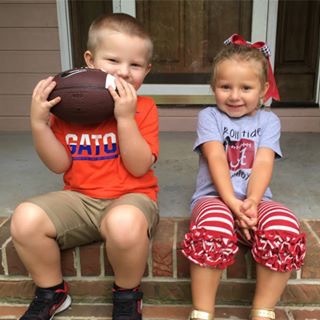 Kacie and Chase.....are a HOUSE DIVIDED......and they both take football serious. BUT....they love each other and they have a happy marriage...because they have learned to work together in spite of their differences. I have always loved reading. From my childhood, like Disney's Belle, I adored fiction books. I could escape into other worlds and other lives. Adventures and mysteries especially with a faith bent would draw me in and absorb my attention. Historical fiction series such as "The Zion Chronicles" and "The Zion Covenant" by Brock and Bodie Theone took me into the past while allowing me to wonder how God might have altered things behind the scenes of history. 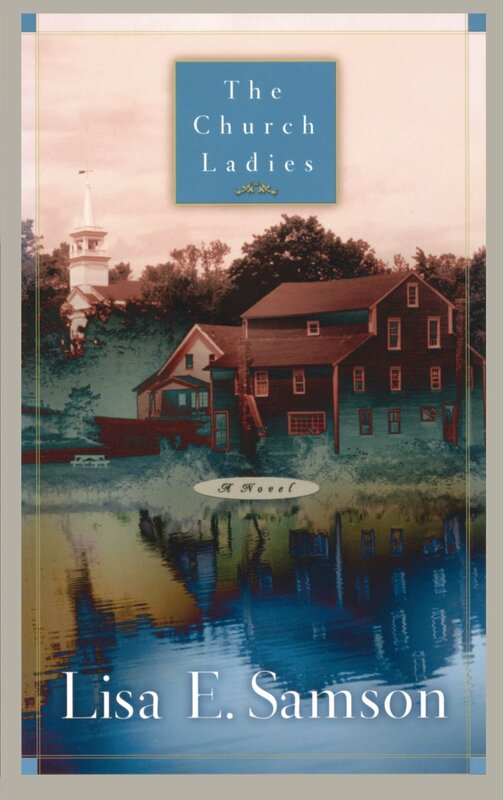 As I got older, I grew into an avid Austen fan. A tub filled with hot water and bubbles was my chosen "nook" to enter the worlds of Emma, Elizabeth and others. I would also read non-fiction books, basic Bible studies and things directed toward the Christian woman. Liz Curtis Higgs and Beth Moore became "friends" as I went. Then, sometime after my second daughter was born, my reading habits drastically changed. Oh, but I didn't quit reading altogether. I quit reading books. I even fell off the practice of reading Bible study books, making excuses about how there just wasn't enough time in the day. Yet, I still managed to spend time scrolling through Facebook. Just this morning I got lost in the rabbit holes of this link and that. Very little of what I clicked on had little to no redeeming value. About a year ago, the Holy Spirit convicted me that I needed to do a better job feeding my soul. Deuteronomy tells us that we can't live by bread alone, but "every word that comes from the mouth of God." I knew I needed to start eating some meat because my spirit was ever-so-slowly becoming malnourished. I wanted deeper insight and teaching on God's word. 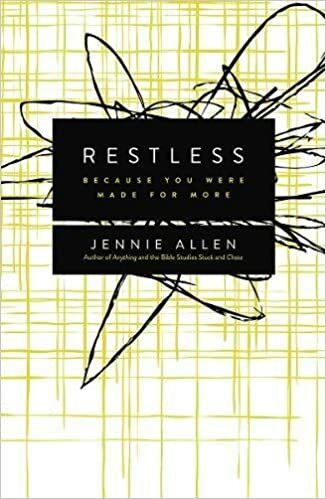 After seeking the advice of a good friend, I started with Jennie Allen's "Restless," thinking that it would be a quick read and I would then jump into another book and author that I had somehow missed in the seven years since I had "quit reading." But it wasn't a quick read. As real life "hit" and the journalling topics led me deeper, the time it took to really digest the truth I was reading took me months to finish. It was all worth the work and time in the end. God taught me a lot through the process and the pages. It also whet my appetite for more. This summer I read and finished "Missional Motherhood" by Gloria Furman. Then, in my quiet time I went through it again, outlining and taking notes, trying to savor the truths she explained. I have also started another Jennie Allen study, "Proven," and a new-to-me, author, Courtney Reissig. I have started the first chapter of her "The Accidental Feminist," and I am anxious to open it back up for a second helping. Over the last 12 months, life definitely has NOT slowed down. Our family of five is busier than ever. God has not added another hour or even a second to our 24 hour days. So where have I found the time to do this reading? The Holy Spirit has shown me where and how I can trade the lesser things for the greater things. I am turning off the TV. I am praying for discernment and discipline for my time on social media. I am looking for opportunities to read. I have also given myself grace. My expectations are to read and to process what I read without a time constraint. I am not reading to meet a goal or to complete a resolution to read a set number of books in a set amount of time. I want my reading to be a quality thing not a quantity thing. To escape? If yes, then why am I wanting to escape and have I prayed about it first? To grow? As a mother, wife, leader, a Christ follower? If yes, is it Biblical? Are their scriptural truths I can apply? There's an old adage that "we are what we eat." No one can deny that we become what we consume. What is it you are "eating" and why are you "eating" it? I wake up in the morning wondering what I might get to eat that day. (We Vinsons love food.) We all have cravings too and we understand that even if tastes good it might not be good for us. We all should pray for discernment to make the best decisions for what we take in, what we read. I am always looking for new recipes. (Did I mention that I love cookbooks too?!) I am always looking for new books to sample. It is easy to stand in a bookstore or begin clicking through Amazon and become overwhelmed with all our options. Not wanting to waste my limited time I have to read, I wonder where I should start. So, what's on your menu? What are you reading now? What do you recommend? What is worth my time? Please comment with what you've read that you've found satisfying. In the same way we look for positive restaurant reviews, the thumbs up or thumbs down from a trusted friend carries a lot of weight.